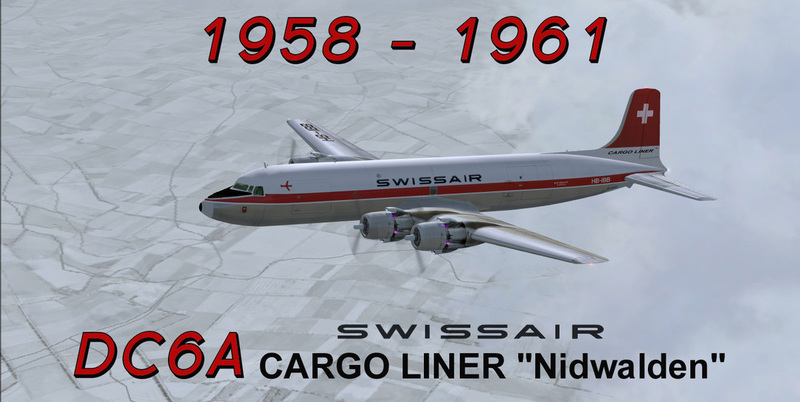 CN#43547/204 was built in 1951 and delivered on 11-9-1951 to American Airlines as N90764 ship 464, Flagship Cincinnati. 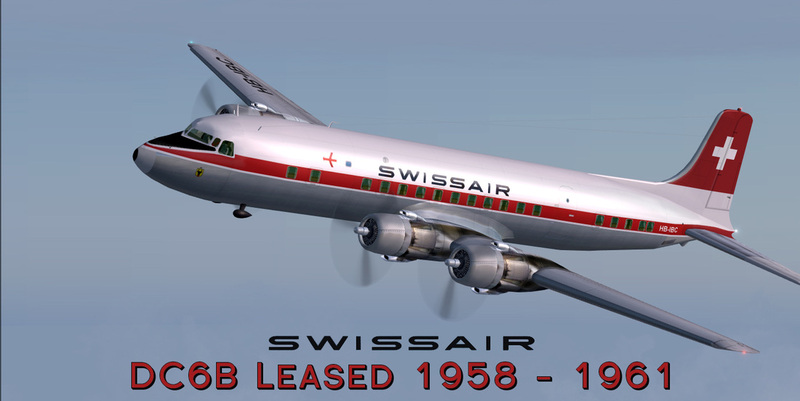 Aircraft was leased to Swissair on 6-16-1958 as HB-IBC till 1961 and was returned to American Airlines. 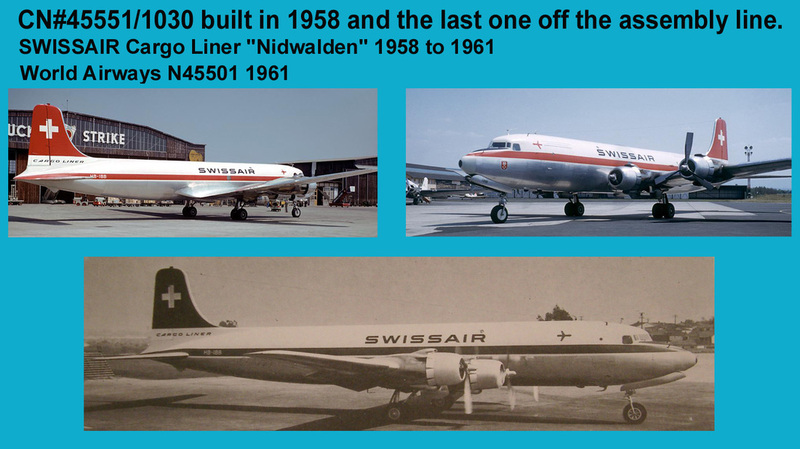 It then went on to LAB LLoyd Aereo Boliviano on 11-9-1961 and was W/O on 3-15-1963 when it crashed into the Chachacomani Peak in Peru while enroute from SCAR to SLLP.